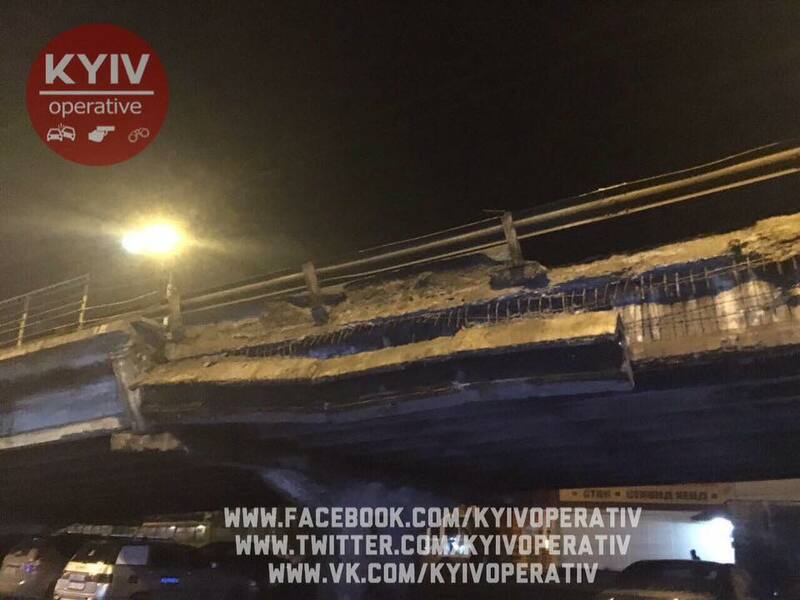 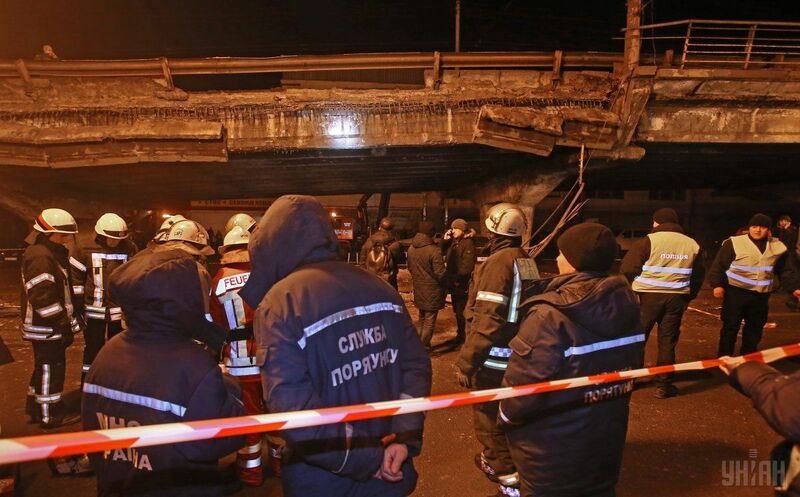 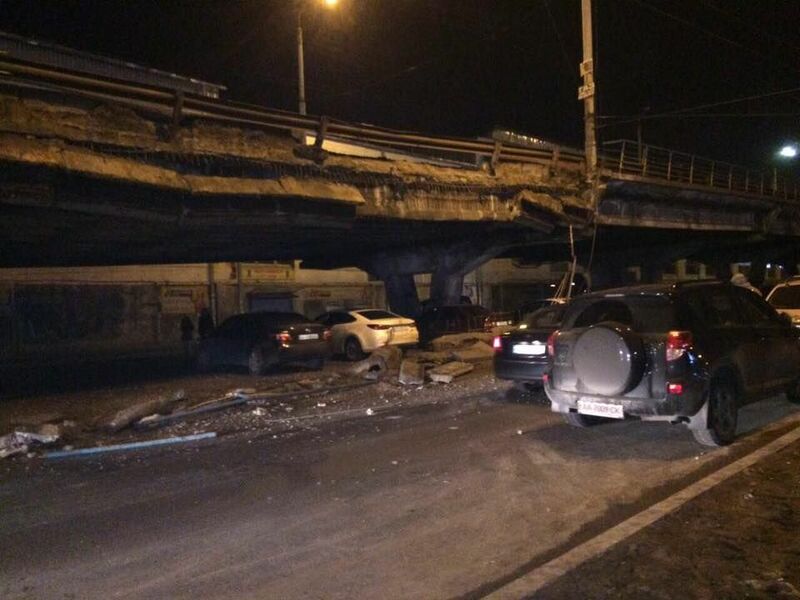 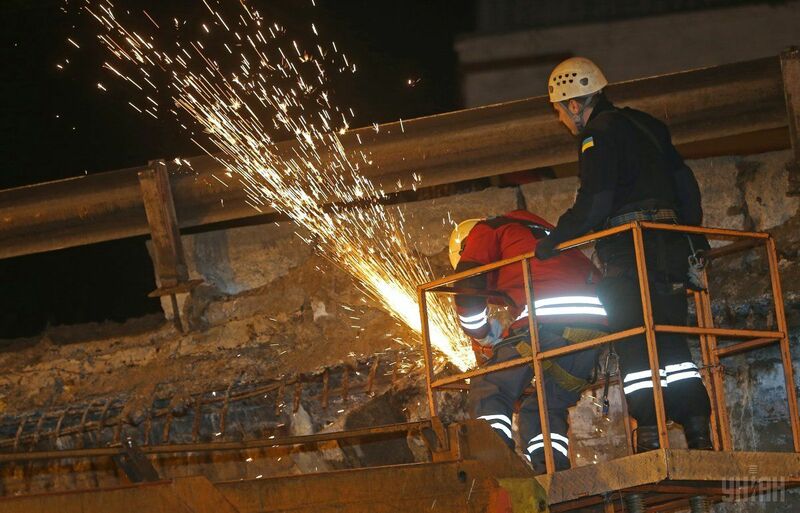 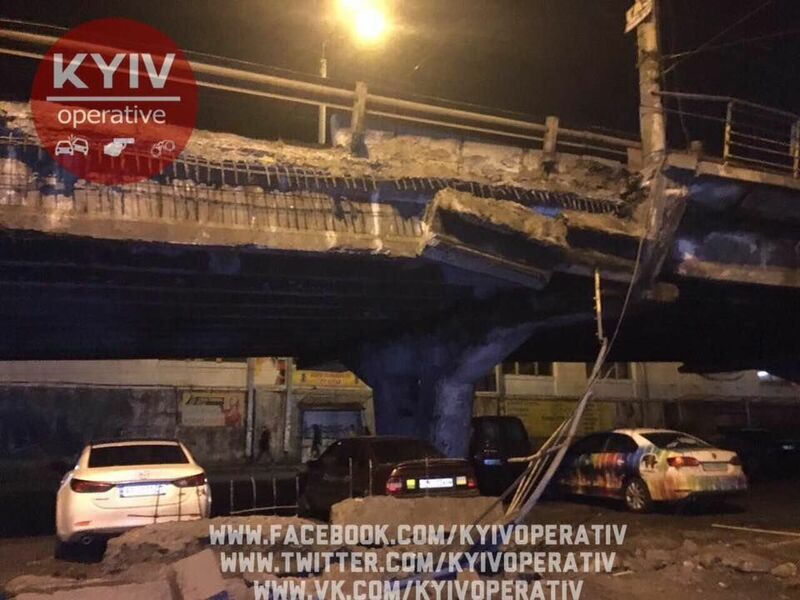 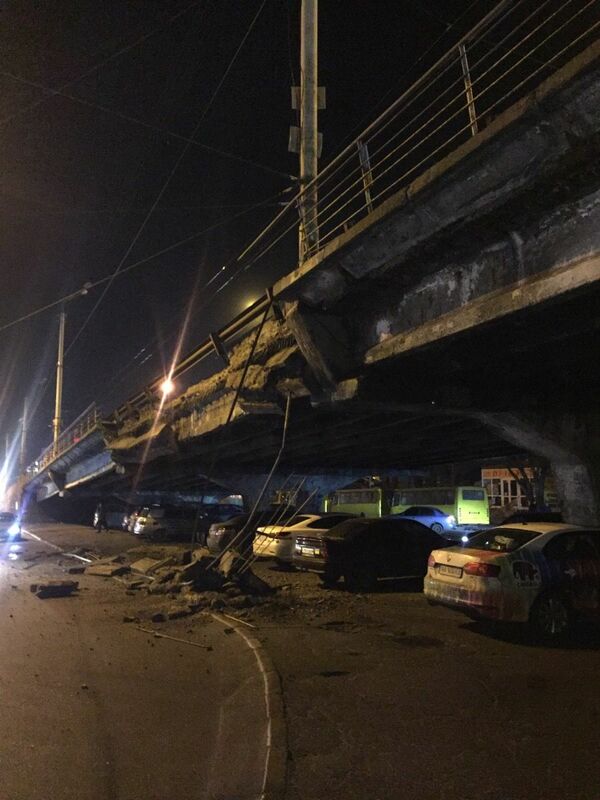 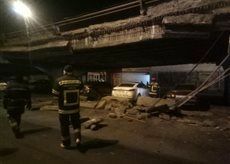 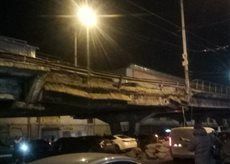 A section of Kyiv's Shuliavsky bridge has broken away on the evening of Monday, February 27; no casualties have been reported, according to ICTV's Fakty program. 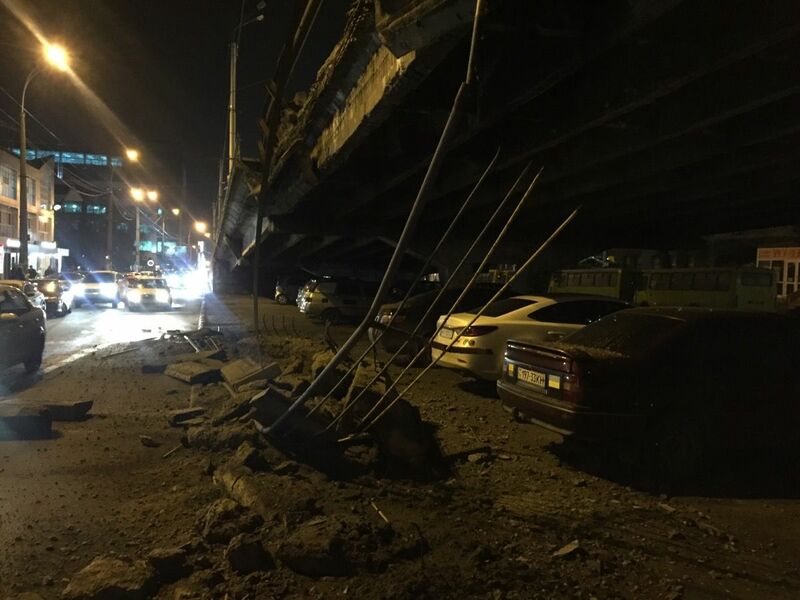 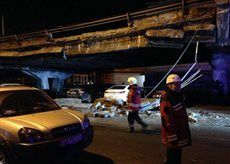 Parts of the bridge continue falling apart, but some passenger cars are still parked under the facility that is in a dilapidated condition, Fakty said. 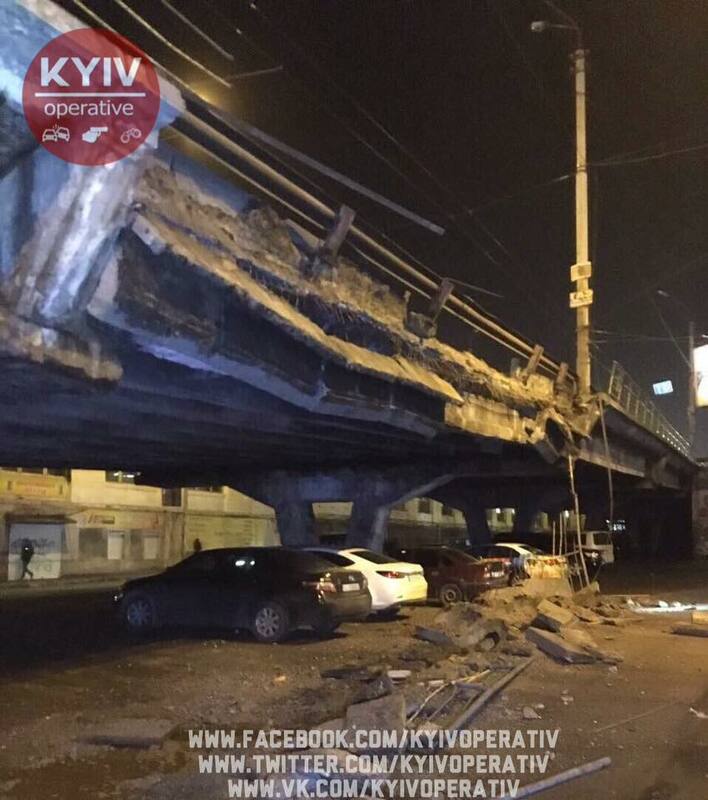 The collapse has damaged only one car, it said. 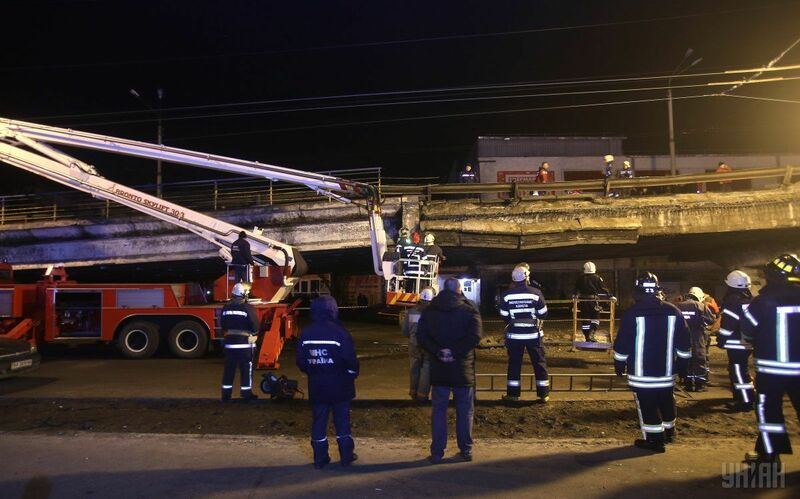 Access to the bridge is still open. 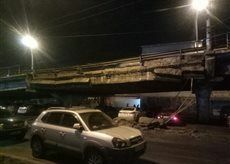 Traffic in the direction of Peremohy Avenue was limited, while no vehicles were allowed to move along Hetmana Street from the Industrialny bridge to the Shuliavka metro station. 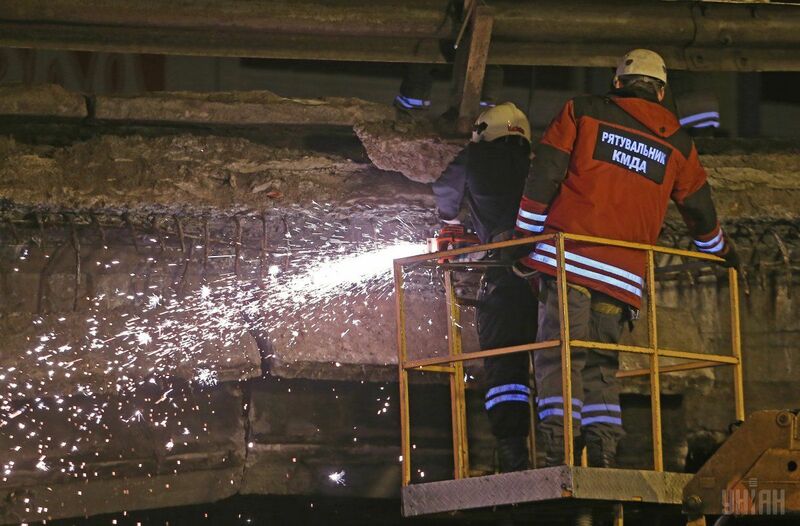 Emergency Situations Service personnel are said to be cutting reinforcement bars with remains of concrete beams. 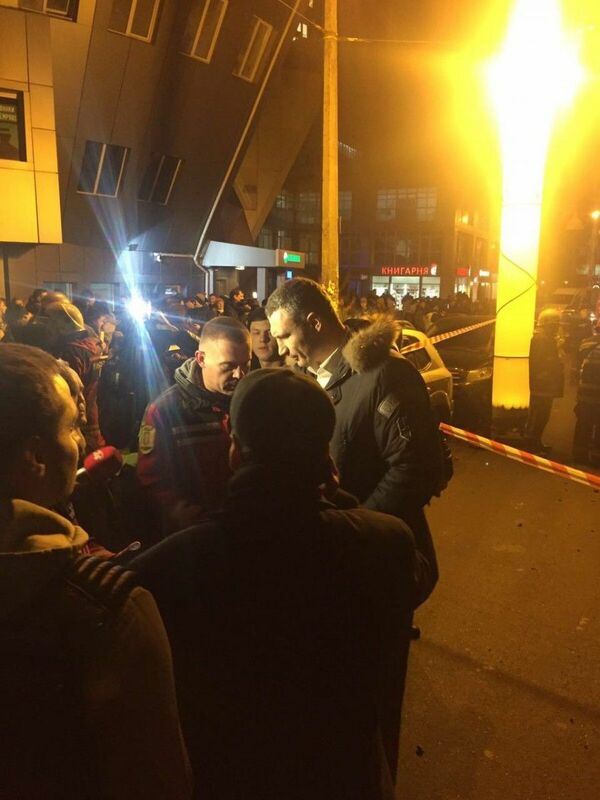 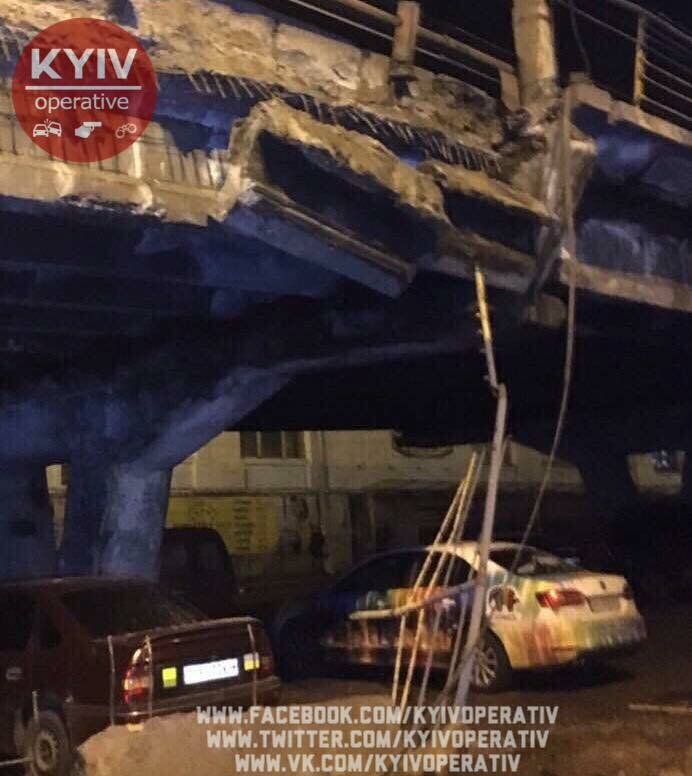 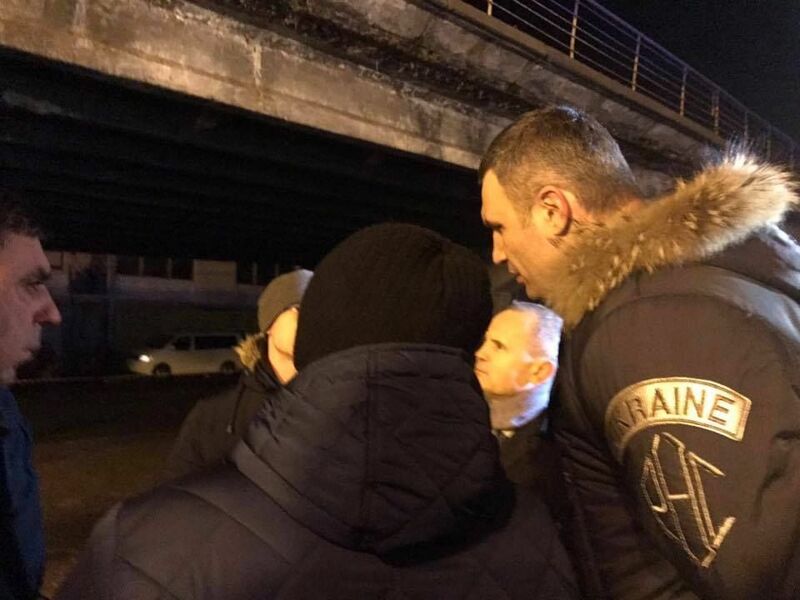 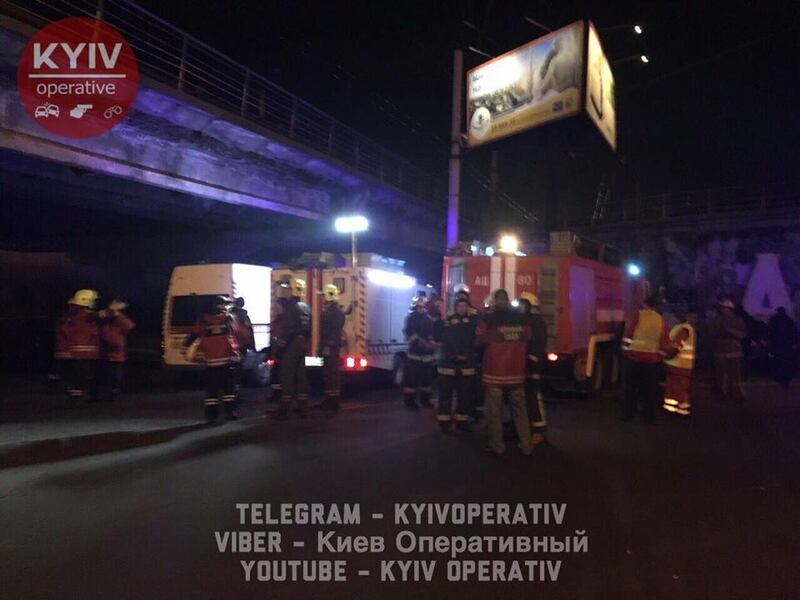 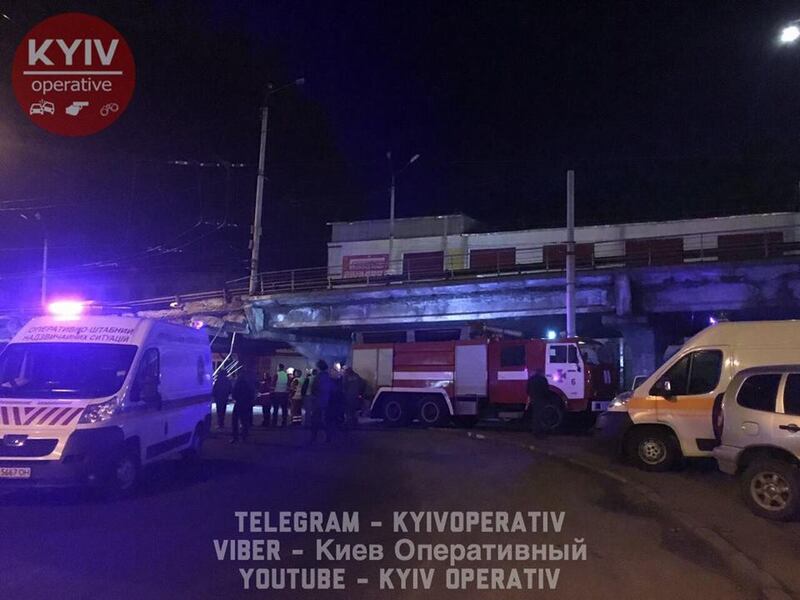 Commenting on the incident, Kyiv Mayor Vitaliy Klitschko has denied that the bridge was in critical condition, according to 112.ua. 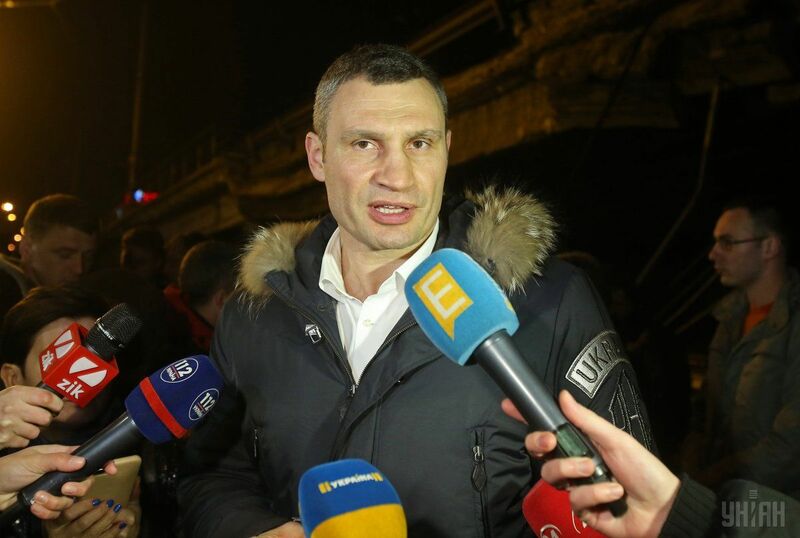 Read alsoKlitschko: Germans to allocate EUR 200,000 for completion of Podilsko-Voskresenskiy bridge"It was fatigue of the construction, on the one hand. 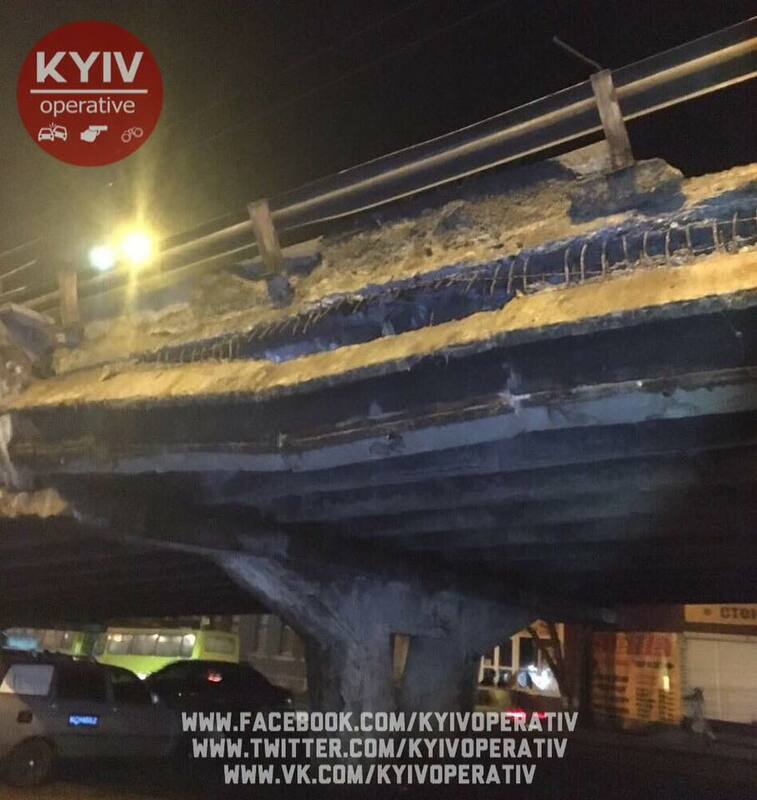 On the other hand, there were violations of the norms of its operation: there were kiosks under the bridge. 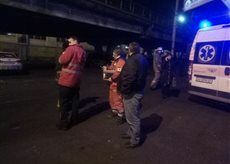 A fire once broke out there as a result of infringements on the rules of operation," he said. 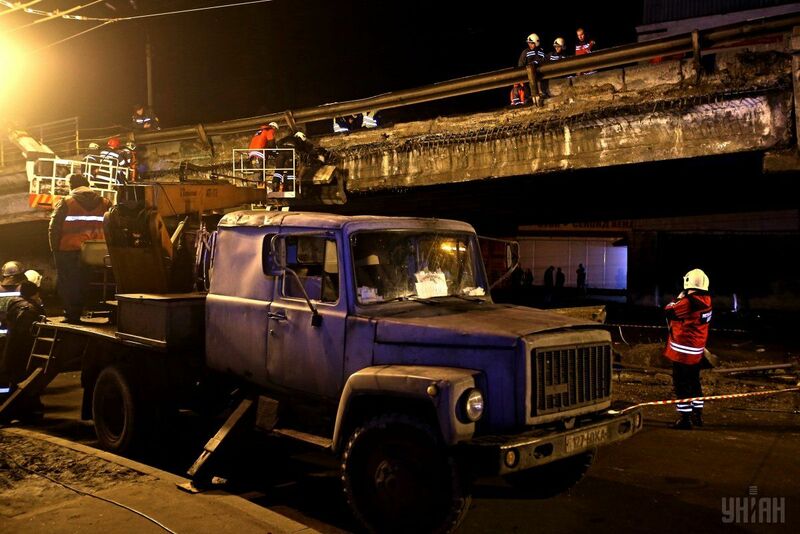 The Shuliavsky bridge was last overhauled about 30 years ago. 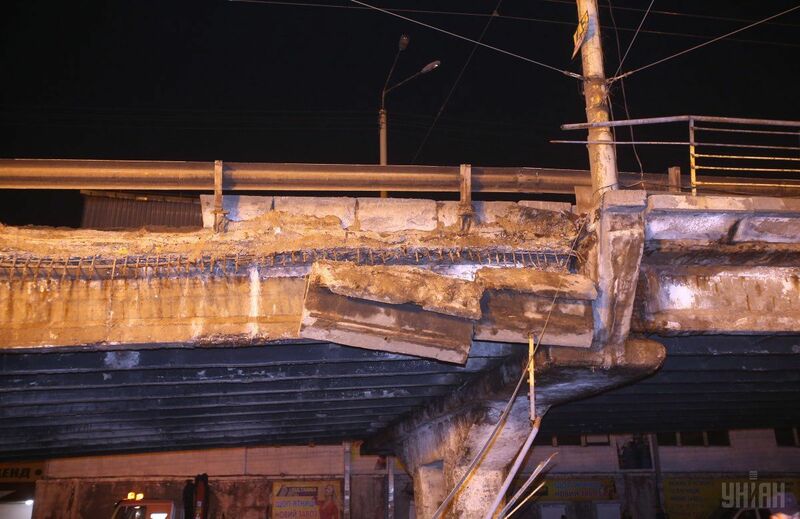 The ramshackle bridge has been in critical condition for several years. 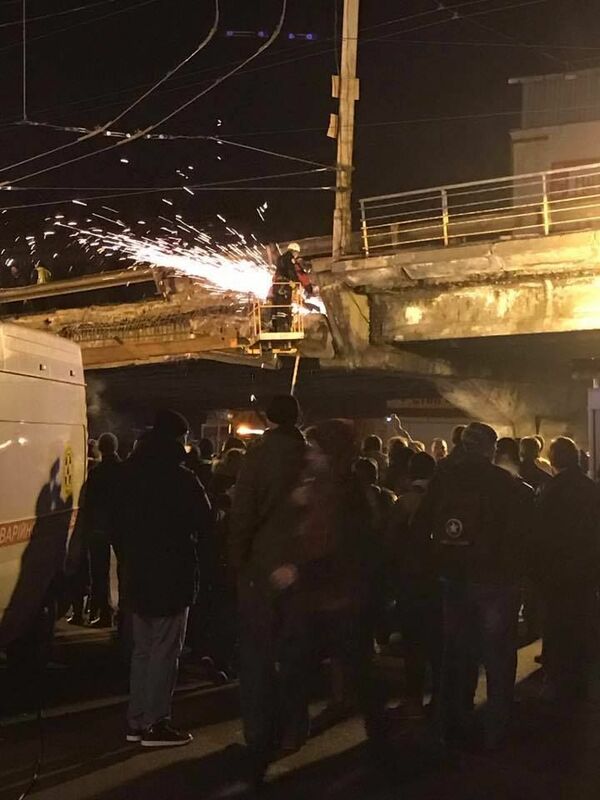 Fires that broke under the bridge several times caused some damage to its concrete beams.